Bill Pay will save you and your employees the time and the hassles of billing and invoice collection. Market Igniter bill pay allows your customers to pay for your services right from the website, without the need of a full ecommerce solution. With full integration into every site, bill pay builds customer confidence and maintains branding without the need of third part plugins or buttons. Market Igniter uses a portal system that allows you to collect payments without storing payment information anywhere on the website. This mean your customers can have bank level security using your own website and you can enjoy the benefits of taking payments without all the hassle. Get the best bill pay experience in design and function with Market Igniter bill pay. Market Ingiter bill pay is everywhere you want it. Send email invoices that link to bill pay and have the easy to access payment portal directly on your website. Take payments instantly and never worry about a lost check. Market Igniter bill pay can allow customers to store their own login information for faster payments. Through our custom portal, tokenization, and enhanced security features, customers enjoy bank level secuirty while you rest easy. You have a professional business and you require a professional solution. 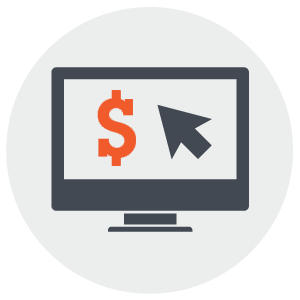 Market Igniter bill pay functions as a part of your website, maintaining branding and continuity. Build confidence in your brand by offering a fully integrated solution. Using Market Igniter bill pay requires a merchant account. Sign up for Merchant Services today to receive low rates and the ability to accept credit card payments online and in your office. Nothing is more important than keeping your customer information secure, especially when it comes to payments. We maintain PCI compliance on all Cloud Sitess so you can enjoy the benifits of addtional security without all of the stress.